A Kerala Catholic bishop accused of sexually abusing a nun once again denied the charges against him as well as reports of his moving to the Vatican. 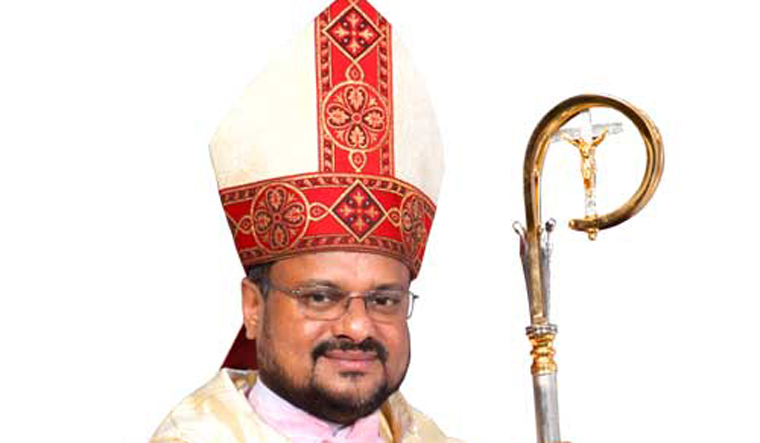 Even as a special probe team mounted a detailed investigation against Franco Mulakkal, the bishop of the Roman Catholic Diocese of Jalandhar in Punjab, Mulakkal dismissed plans of going anywhere. Mulakkal told reporters in Jalandhar on Thursday that he has not even been contacted by the police. He also said he has not applied for anticipatory bail, "because I have done no wrong". "I now hear reports that I am trying to run away to Vatican. I wish to state that I am very much here (Jalandhar) and all such reports are baseless and I am not running anywhere," said Mulakkal. It was reported earlier on Thursday the Kerala Police had written to immigration authorities to prevent Mulakkal from leaving India. Trouble began for Mulakkal when a Catholic nun alleged that she was sexually abused by him several times between 2014 and 2016. An FIR was registered against Mulakkal and a 114-page detailed statement was taken from the nun. "She also took part in the functions after the death of my mother. I have no clue on why all this has surfaced," added Mulakkal. The probe team has so far collected evidence from a convent near Kottayam, where Mulakkal is alleged to have abused the nun. The team will meet a few people in Kannur who could provide leads in the case.